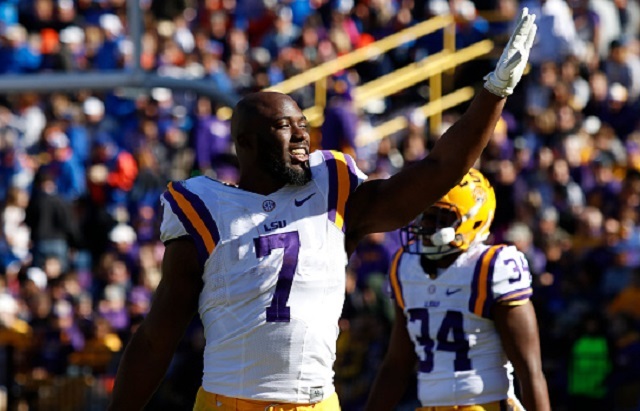 Stanford running back Christian McCaffrey and LSU running back Leonard Fournette decided to sit out their final bowl game to avoid an injury risk and to prepare for the NFL. The decision has launched a debate and fears among many that this could be a growing trend for future top NFL prospects. The NCAA views college football as a business, Division I college football teams view college football as a business. Those on each individual bowl committee view college football as a business. So why is it a problem for a college football player to view college football as a business? Here’s the thing, college football is a business. It’s a business when the NCAA is worth billions based on college sports. It’s a business when top college football teams are making so much money that they are using it to build outrageous training centers with slides, barber shops and bowling alleys for the football team. And it’s not even the top football teams. The University of Kansas have been 19-77 since 2009 and they’re getting that kind of treatment. So despite all this, why do we have a problem with a player, who knows the next step after college is the NFL, treating college football as a business? For one thing, let’s get the pretense out of the way that McCaffrey and Fournette are missing some incredibly prestigious game. We’re talking about the Sun Bowl and the Citrus Bowl. If it was any of the New Year’s bowl games or the College Football Playoff, they would probably play. But exactly why is playing in a crappy bowl game in a half-empty stadium such a big deal? For one thing, there are way too many bowl games as it is, so maybe this is a sign that we need to do away with one or two or 30. There are 40 bowl games, and all but maybe 10 of them are irrelevant. These games only exist because ESPN wants to fill programming with football and those on the bowl committees can make money. It’s not about giving the “student-athlete” a great experience. The “student-athlete” is the last thing on anybody’s mind because if that wasn’t the case, the players would be getting paid by now. Bowl games, except for the College Football Playoff games, are exhibition games meant to raise money. That’s why you have bowl games in Boise, Idaho; Shreveport, Louisiana and Boca Raton, Florida. 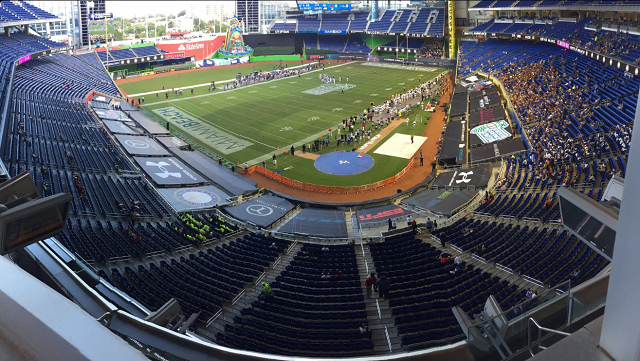 The Miami Beach Bowl literally had dozens of fans in a baseball stadium in a game that was shown in the middle of a workday on a Monday. Why is that a thing, other than simply to make money? Fans have pointed out that players not playing in bowl games hurts the fans because it shows they care more about the team than the players. It also hurts teammates because they’re being left behind. I can counter that by saying that yeah, fans probably do care more than the players. Especially those players who know they’re going to the NFL because that is the next step of their career. Also, nobody talks about the head coach who leaves his players behind to go somewhere else before the bowl game, which happens multiple times per year. That hurts the team, that hurts the players, that hurts the fans. Why is that okay? It’s okay to be for or against this, but just recognize the double standard if one is okay and not the other. Another thing people point out is leaving early denies someone else of a scholarship who needed it and that a player is there for a college education. First of all, the term “student-athlete” hasn’t applied to D-1 college football and basketball for years, so let’s get rid of the naive belief that players are there for an education. For many, especially those who know they won’t be going to the NFL, it is. But for the 15 percent or so of college football players who go to the NFL, their education is in football and not in the classroom. Also, an athlete is receiving an “athletic scholarship,” which is different than an “academic scholarship.” A high school football standout isn’t taking a scholarship away from the class valedictorian because they are two different things. If an athlete does well in the classroom, they can get an academic scholarship but it won’t be due to on the field ability. And if the NCAA really felt there was an issue with players leaving early with athletic scholarships on the table, pass a rule saying if you have an athletic scholarship and leave before four years for the purposes of going to a professional sports league, you have to pay back your entire tuition from the time you were at the school. When it comes down to it, Christian McCaffrey and Leonard Fournette have to make the best decision they can make for themselves and themselves only. When everyone within college football is only thinking for themselves, players have a right to do the same thing. Loyalty is a great thing to have and it’s a trait I value, but loyalty only works when both sides show the same amount toward each other. When one shows way too much loyalty to the other, at some point they get hurt. McCaffrey and Fournette are simply trying to decide what’s best for their life and are choosing to sit out in a couple of irrelevant bowl games. Don’t be surprised if this happens more often.